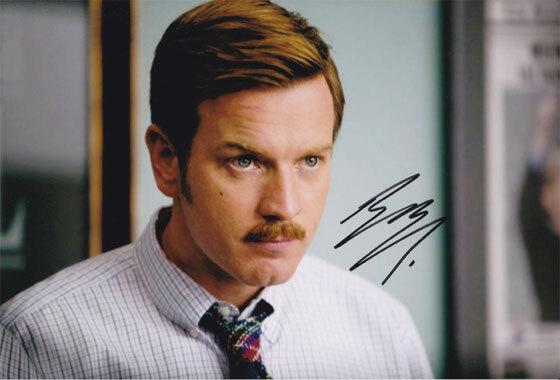 Ewan McGregor signed 12x8 inch photo. 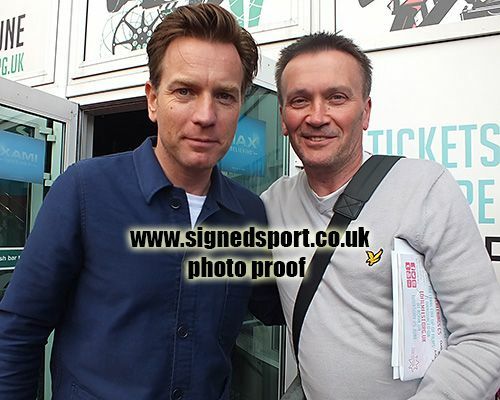 Ewan McGregor, signed 12x8 inch photo. 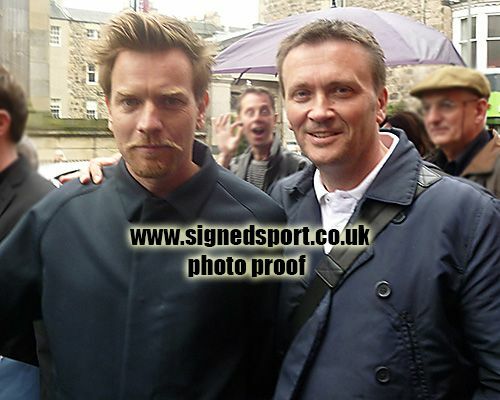 12x8 inch colour photo personally hand-signed in black sharpie pen by Scottish film star, Ewan McGregor. A difficult autograph to obtain hence the high selling price. McGregor is best known for his roles as heroin addict Mark Renton in the drama Trainspotting (1996), Jedi Obi-Wan Kenobi in the Star Wars prequel trilogy (1999–2005), poet Christian in the musical film Moulin Rouge! (2001), and storyteller Edward Bloom in Tim Burton's Big Fish (2003). He has also received critical acclaim for his starring roles in theatre productions of Guys and Dolls (2005–07) and Othello (2007–08). McGregor was ranked No. 36 on Empire magazine's "The Top 100 Movie Stars of All Time" list in 1997. In 2010 he won Best Actor for playing the title role in Roman Polanski's film The Ghost Writer at the 23rd European Film Awards.